There's a difference between taking photos and being a photographer. I can take photos. Heck, anyone with a camera on their phone can take photos. That doesn't make you a photographer. A photographer has an artistic eye that I just don't have. I like to think I take great photos, but when I look at shots from a professional and it puts me in my place. I just don't have the eye or expertise that a professional photographer has. We talked about photography this week at #BridalBabble and I got to show off photos from our wedding taken by the incredibly amazing Derick & Christy Photography. I'll end up writing a whole love letter to them eventually because I'm just in awe of what they captured. But this post is just a helpful guideline so that you can pick the best wedding photographer and be as enthusiastic with your photos as we are with ours. 1. Decide on your style and find someone who meshes with that. When Pete and I go out, we take a ton of photos. That's the reason I can't upgrade to iOS 7. With over 3,000 photos on my iPhone, there's just no room for anything else. We are constantly taking photos of everything and everyone … but no one knows. I mean, yes, people will see us with our phones out, but we don't ask people to pose. Almost everything we shoot is very candid. That's what we like. And that's what I feel are the real moments, the times when people are smiling because they are genuinely happy, not because there's a camera bulb in their face. So when we were looking for a wedding photographer, we needed to find someone who shared that thought. It was important for us to find someone who focused more of their time on candid photos than posed ones. 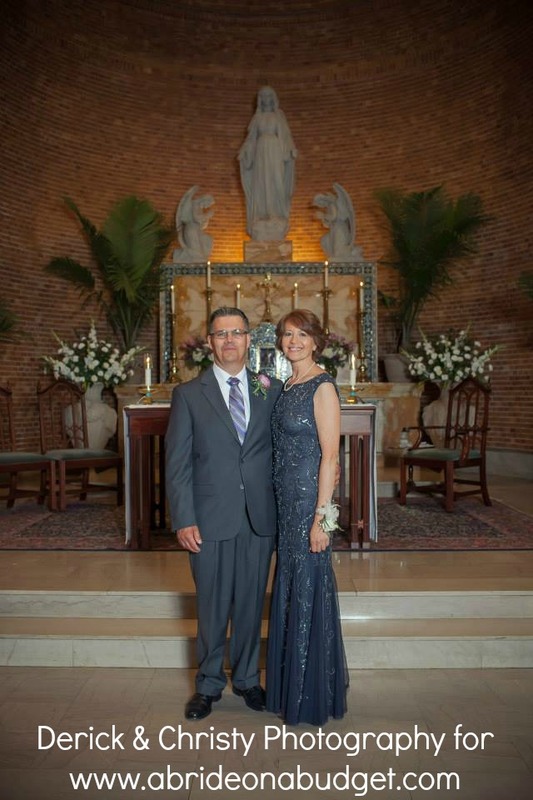 We wanted family shots, yes, but we wanted someone who would understand how to capture the feel and emotions of the wedding rather than a slew of photos of us in the middle of groups of families. When we sat down with Christy for a meeting, she let us know up front that they don't take many staged photos. Most of what they take are candids. That's what we had gauged from looking at their albums, but it was nice to hear her say that. It was exactly what we wanted and was a great selling point for us. Whatever your preference, be sure to find someone who specializes in that type of photo. 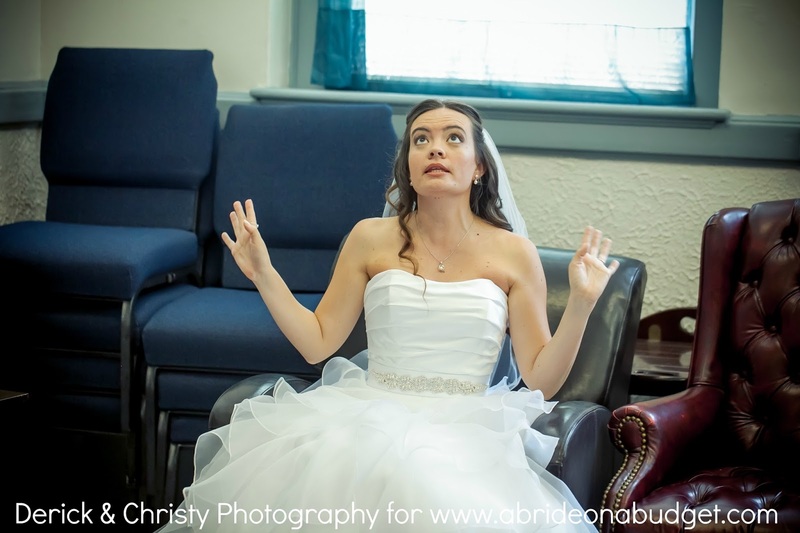 If you want portraits, don't book a wedding photographer who only shoots candids, and vice versa. There's a good chance there are multiple wedding photographers in your area. And through expos, there's a good chance you will meet many of them. They will all have portfolios of their work available for you to review (and if they don't, run). Each photographer we encountered had hard copies of wedding albums available for review at the expo but also had slideshows posted online that we could view at our leisure. We met Derick & Christy at the first expo we went to and I just absolutely fell in love with their photos. But I didn't book them right away. We went to tons of other expos and I met many other photographers. 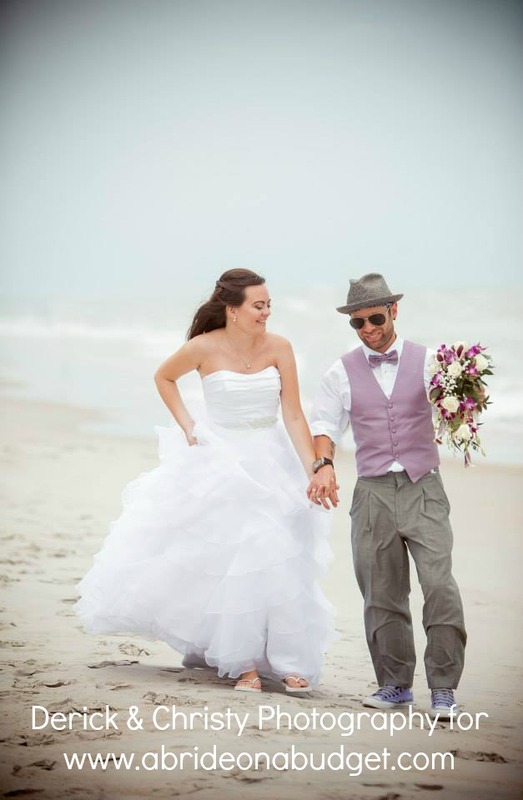 Each time I found someone new, I opened up Derick & Christy's website and queued a slideshow. I then went to the new photographer's site and queued up a slideshow. I went back and forth between the two, checking out photos. And every single time, Derick & Christy won the battle. My at home slideshow battles were also a great way for me to familiarize myself with Derick & Christy's work. I really got to know their style and really appreciate it. These battles made me get a feel for what our wedding album would look like and made me feel really comfortable that we would be getting what we paid for. Because that's the thing. You pay for your wedding photographer in full but you don't see your photos for weeks. And you don't get a second shot (no pun intended). You can't return your photographer if you don't like your photos. You can't restage your wedding. You have one chance to capture the moments you want in the way you want them. Be sure you know what you are getting before you book. 3. Hire someone who will give you the rights to your photos. 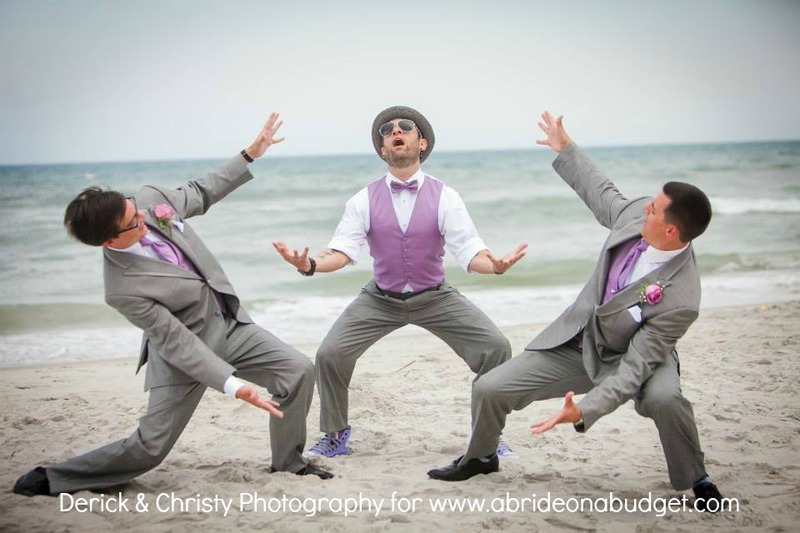 When you hire a wedding photographer, you obviously have to pay them. That's how these things go. But, with a photographer who retains the rights to your photos, you will have to pay them from now until the end of time (well, until you stop ordering wedding photos, anyway). If a photographer retains the rights to your photos, you must go through him or her every single time you (or someone else) want to order a photo. Thinking about an album with 100 photos? You have to purchase those photos through the photographer, at whatever price he or she sets. Grandma wants a photo of you in the veil? Pay the photographer. Want a canvas print to hang on the wall? Pay the photographer. Want to scan a photo to print a copy for mom? That's actually a violation of copyright law. The upfront cost of a photographer who retains the rights to your photos may be lower than one that releases the photos to you, but in the long run, that will end up costing you a ton of money. If you fall in love with a photographer that keeps the rights to your photos, ask if you can work out a deal where you can buy the rights. A photographer should be flexible and work with you and if they won't, my advice is to find someone new. 4a. Remember, you get what you pay for. There's a good chance your wedding photographer will be the second biggest expense of your wedding, trumped only by the venue. And that's a scary thought because it is a lot of money. If I'm being completely honest, our photographers cost us more than our six-piece band. And they were worth every penny. Our photographers (yes, plural: Derick & Christy Photography is, you guessed it, both Derick and Christy shooting) were with us for twelve hours. They took a couple thousand photos, then spent I don't even know how many hours editing over 1,300 for us. Plus our package includes a photobook, which means we'll have a nice wedding album that is professionally put together (and that will mean they'll spend more time with our shots). We could have picked a cheaper package where they were with us for less hours, but it wasn't an option for me. We were starting to get ready at 9am, our ceremony was at 2pm, our reception started at 6pm, and ended at 11pm. I wanted every shot from getting ready until getting ready to leave. 4b. And be sure to get what you pay for. If you hire a wedding photographer with the understanding that you're getting that photographer, you don't want someone else to show up at your door on your wedding day saying, “Hi. I work with XYZ Photography. I'm here to shoot your wedding.” That's not okay. Larger photography businesses will employ multiple photographers. And that's great for them. But you don't want to sit down for a consultation with one photographer, go over your plan for the day, pay a deposit, and then find out that you will get any photographer who is available, regardless of who you originally spoke with. If you see an album of someone you like, make sure you get it in writing that you will have that person shoot your wedding. If not, you could end up with someone who has a completely different style and you'll be really disappointed. 5. Make your photography your top priority. Your flowers will die. You'll never wear your dress again. A year later, you won't have the food. Two years later, you won't have any cake. But you will have photos of your flowers, your dress, your food, and your cake. Your pictures are basically the only tangible thing you will actually have post-wedding. So don't skimp on your photography. It absolutely needs to be a bride's top priority. You can skip programs at the ceremony to save yourself some money. You can nix a shuttle from the hotel to the reception. You can decide against an action station. But you absolutely should not skimp on photography. 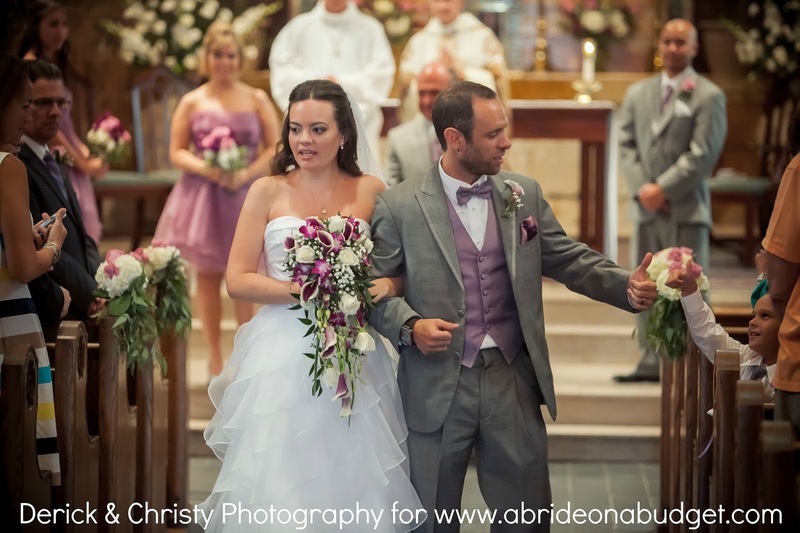 As soon as we booked the venue and had a wedding date, I called Derick & Christy to set up a meeting. We booked them on the spot. There was absolutely no way we were getting married and not having them as our wedding photographers. I was that in love with their photos. I didn't have a clue where we were getting our cake; I had no idea what food we were serving; my dress was not even on my radar yet. But we had our photographers set. Truth be told, I'm pretty awful at doing anything right away. I'll always get things done (and done on time), but there's a good chance they won't be done immediately. If you invite me to a party, there's a good chance I will RSVP on the last possible day. If I have to go out early in the morning, I will sleep until the last possible minute and be ready with no time to spare. But I knew that if I wanted Derick & Christy, I couldn't wait. I had to book them right away because I would be devastated if I slept on it and they were booked our day. So I did and it worked out better than I could have imagined. 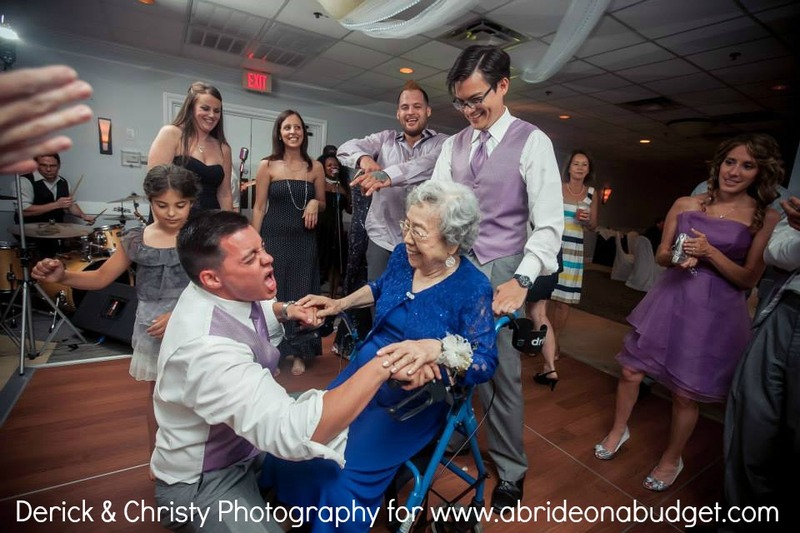 BRIDAL BABBLE: What other tips would you give brides who are booking wedding photographers? Excellent information, especially the info about how some photographers retain the rights to photos and some do not. This confuses many a bride and I think your explanation was simple and perfect. Photography is not something to play around with. You only get one shot at great memories captured in time. Make sure you trust those moments to real professionals. Great info! A lot of couples are so unaware about what they are entitled to & what they actually get as their end product. I wish I had researched a little more when I was getting married!! Photos are definitely a one-time deal. If you don't catch it in a minute, the moment is over. It's an investment, but a good one. Splurge on the photographer and skimp elsewhere -- or you'll be sad in all your photos anyway! (OK, maybe that's pushing it, but maybe not...) Good advice -- especially about the copyright issues!! Great, great info! Especially the beginning, there are so many "fauxtographers" out there, as a bride, you really have to be careful, and I had no idea about the photographer retaining the rights either! As silly as is sounds I totally forgot that candid shots should also be taken. Lol I'll be emailing my fotog Robert J. Hill tomorrow to make note of that. Thanks for another great post! We are currently looking to hire a photographer - unfortunately we are on an extremely tight budget. I knew my top priority is making sure we have the digital rights but didn't take into account the expense of having someone there from beginning until end! Crazy that I could forget that. I, too, want someone to capture the whole day - getting ready to finale and I guess I will have to find other ways to save to ensure we get the photos I want. 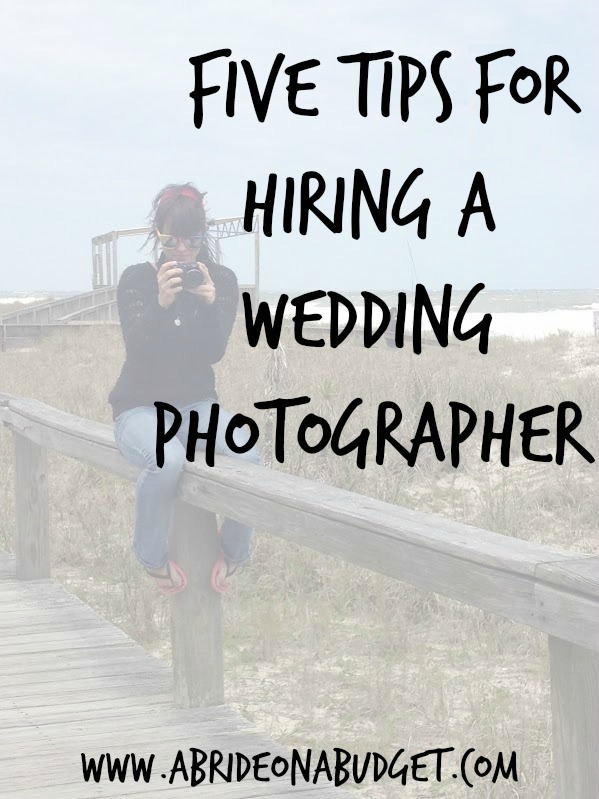 Awesome tips, especially the one to hire a photographer who will give you the rights to your wedding photos...so important! As I narrow down my photographer choices. . I'm feeling very confident with who we are choosing based on these tips! The rights to your photos tip is such a good tip. Something I have never heard anyone talk about, but it is such good advice. Thanks for the great post! I completely agree that this is TOP priority! When the memories start to inevitably get fuzzy, these pictures will be the moments that are kept most alive in your mind. They're vital! Great information, and I totally agree with it. I decided to spend a little more to have the rights to my daughter's senior portraits and graduation pictures so that I could do anything I wanted with them for forever! I will do that for my daughters' weddings, too. We had my wife's niece do our photography. She wanted to build her portfolio and my wife didn't want to say no. She did a good job, plus she was cheaper. Wow Lisa, this was very informative. I'm definately passing this info on to my sister who is getting married. Oh these are great tips! I bookmarked...as my son will be starting to plan their wedding soon! I loved all the photo's and the purple was awesome....... lots of great idea's, thanks. I love the photos. You are right, you do get what you pay for. My photos were terrible, I wish the memories from my wedding were shown better. My photographer I find to be so important! I feel like I know what i want and need but these tips are super helpful. There were definitely things I missed! I agree that a good photographer is worth paying more for - mine is second only to our caterer as far as cost. but I think each individual should break their budget up into priorities. and for me, my priorities were EXCELLENT PHOTOS! I also agree you should do a lot of comparison, to make sure that you're not happy with just those particular pics they're showing off, but in their style in general. a great photographer knows how to make it ALL look good!